President Donald Trump's latest nominees to the Federal Reserve's board of governors typify the president's outside-the-box approach to executive decision-making. The two appointees undergoing the confirmation process are Stephen Moore, a Fed critic and former Trump campaign adviser, and businessman Herman Cain, another Fed critic who served on the board of directors for the Federal Reserve Bank of Kansas City. Trump's selections send a strong signal about the state of our economy and where he wants it to progress over the next few years. Moore is a pro-growth conservative economic analyst. He believes that a high-growth economy (4% or more annually) is a good thing. The Fed, as currently structured, is tasked with two primary responsibilities: achieving full employment and tamping down inflation. Moore believes that "we can have 3% to 4% real growth with no inflation, high employment, and I reject the idea that growth causes inflation." Under the Trump administration, we have achieved "full employment" as measured by the Fed's economic models. However, persistent low labor force participation, particularly among working-age males, has dampened the effect that full employment ordinarily might have on the incomes of a broad sector of Americans. In the aftermath of the Great Recession, the Fed injected trillions of dollars into the U.S. economy in the form of financialized assets -- essentially, low-interest debt issued to banks and large corporations. This led to headlines touting a "jobless recovery" (truly an oxymoron), in which large corporations and banks achieved record earnings despite stagnant wage growth. This pointed to the fact that there was too much economic leverage and not enough elbow grease fueling the top-line corporate growth numbers. Although the stimulus made it rain for wealthy individuals and companies, that rain never hit the ground in the form of more jobs and better wages for average Americans. And that's because onerous financial regulations kept banks from lending to small entrepreneurs and individuals, thus impeding employment growth. 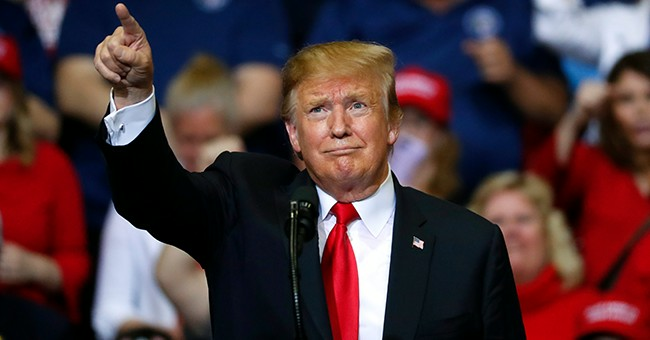 The U.S. achieved growth of over 3.1% in 2018, beating most forecasts, to achieve the highest growth rate in over a decade, but the president said in an interview aired by Fox Business Network: "We would've been over 4 (percent growth) if they didn't do all of the interest rate hikes. ... I'm not happy with it. We should have had much higher." Like Trump, Moore believes the U.S. economy is at its strongest when income is derived from work and wages. That means private-sector growth, not growth through centralized planning (the Fed's bailiwick). And like the president, Cain comes from a business background, not the banking sector. The former CEO of Godfather's Pizza, he is credited with turning the business around through exceptional management discipline; his fellow entrepreneurs selected Cain to lead the National Restaurant Association. As a presidential candidate in 2012, he introduced a 9% flat income tax to replace the byzantine federal taxation scheme that contains loopholes and booby traps for all but the most sophisticated and well-advised taxpayers. The simplicity of Cain's approach was ridiculed in some circles as a corny marketing gimmick. But for many Americans, it represented what they needed most: a clear estimate of their total tax burden and a lowering of taxes across the board. Trump has started to address taxation as part of his Tax Cuts and Jobs Act of 2017, which many believe is the signature piece of legislation to have emerged from his presidency thus far. Cain also endorsed "empowerment zones" as a means of investing private dollars -- that otherwise would have been lost to government taxation -- in underdeveloped communities across the United States. Trump has embraced this type of bottom-up economic policy as a core tenet of his economic approach. The Tax Cuts and Jobs Act included a provision to direct an estimated of $2 trillion of unrealized capital gains into "opportunity zones" to spur growth and investment in communities. The president is a proponent of real growth and broad-based economic inclusion through productive activities in the labor and entrepreneurial sectors. By reducing regulation and simplifying the tax code, the administration is reorienting the economy away from financialized asset inflation. His choices for the Fed board may appear unconventional to some, but they make sense given that conventional wisdom has failed in the past to get the economy on solid footing.